New book focuses on The Oneness of It All. 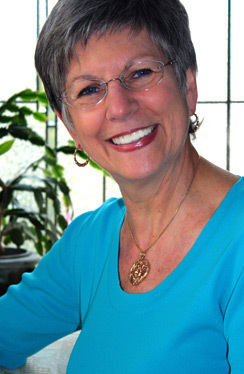 Maryann Pino Miller, M.Ed, is a spiritual teacher and awareness coach. Along with being a Heal Your Life® teacher and Reiki II practitioner, she is certified in hypnosis, past-life exploration, and emotion code. She holds a Bachelor of Science degree from Temple University in Philadelphia and a Master’s degree in education from Louisiana State University. Teaching is her passion. It has been since she was a child. It has been a thread running throughout her life…as a child playing school (of course, she was the teacher); as a young eager optimistic elementary physical education teacher incorporating the mind-body connection into the district curriculum; as a school administrator in both Louisiana and Texas; as director of Adult Religious Education for the Shreveport Catholic Diocese; and then in the business world where she wore many hats, though the main focus was on employee training and development. Retiring a year earlier than originally planned, Maryann went on an internal journey to tend to what she believes was much-needed emotional healing. She divorced in 1997, but continued to work with her ex-husband. Her grueling work schedule included a great deal of traveling, often for weeks at a time. Her physical and emotional exhaustion moved up her retirement. “I cried, screamed, pounded pillows; I learned to journal and meditate; I read metaphysical books and attended workshops; and I had three mentors to answer my many questions. “Then,” she continued, “one day, I felt it all come together – and knew I needed to share. Becoming a certified Heal Your Life teacher was the perfect fit. First, because it gave me the platform from which to teach; and second, because Louise Hay’s book, You Can Heal Your Life, was instrumental in my own healing, I knew it could be the same catalyst in the lives of others. And so, Maryann took her years of personal self-study and life experiences and combined it with her formal education and set about beginning her business, Consciously Living. In addition, Maryann is co-owner of The Center, Life in Balance, a wellness center focused on providing services and classes on balancing mind, body and spirit. Her businesses are located in Medford, New Jersey. Copyright © 2016. Maryann Pino Miller. All rights reserved.